As Gary Lineker* once said, football is a simple game - 22 men chase a ball for 90 minutes and at the end the Germans always win. Today, this British fear from German dominance has gone far beyond football. The UK is watching what is going on in the euro area, fearing the consequences of a breakdown, on the one hand, and on the other - fearing that the ideas for reform of the monetary union would divide Europe into two speeds. This would mean the tone in the EU to be set by the euro area, which is ruled by Germany, in a German style. During the debate on the crisis in the eurozone, held in the European Parliament on 16 November, British MEP Nigel Farage from Europe of Freedom and Democracy group directly said that he did not want to live in a German dominated Europe. Although Mr Farage is known for his extreme eurosceptic positions, these seem to be shared now by a large part of the British society. It is sufficient to look at the headlines. The UK insists the eurozone leaders to take urgent and decisive measures to stabilise it (to take out the "big bazooka", in the words of David Cameron), while denying any involvement in rescuing the euro. 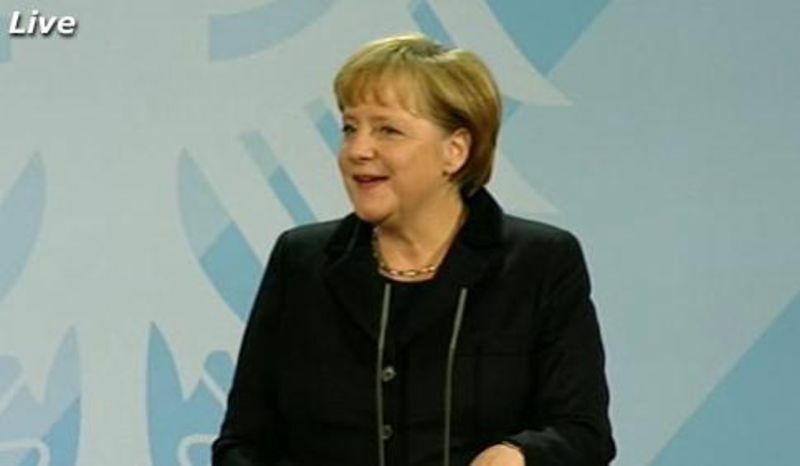 Germany, in turn, expects a greater European commitment from London after the crisis is resolved, as Chancellor Merkel said on the eve of her meeting with the British prime minister. 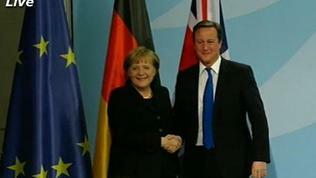 Above all, Britain and Germany clashed on the issue of the financial transactions tax. Berlin wants it urgently implemented in the EU, since obviously a global consensus on its implementation cannot be achieved. The UK says this will push financial services out of Europe and especially out of the City of London. In addition, London has already introduced a bank levy, which it considers entirely sufficient. On this occasion, the finance ministers from both countries exchanged sharp remarks at the last meeting of the ECOFIN Council. Against this background, British Prime Minister David Cameron arrived in Berlin for a tete-a-tete meeting with German Chancellor Angela Merkel. 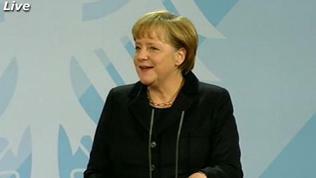 Both leaders told the media that the stability of the euro area was a shared interest. So they have discussed how to stabilise the euro area, how to boost competitiveness and how to restore confidence, the chancellor said. As to the Treaty changes, she stressed that they would only affect the euro area, suggesting that Britain would not have an occasion to hold a referendum and thereby block the changes. Right, but whatever the procedure is, the changes must be approved by all the 27 member states. Does the British agreement have a price? If it does, it is probably too high because no progress has been made at the meeting on the financial transaction tax. 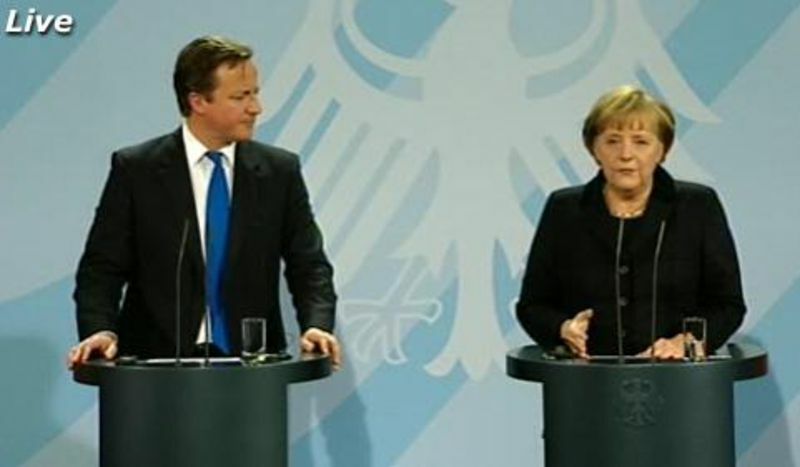 David Cameron emphasised on the “absolute agreement” between him and Angela Merkel on the importance of the single market, the fiscal discipline and the need for greater competitiveness and deregulation in the EU. We are in Europe because we are a trading nation, it is the world’s largest single market and we see great potential to complete it, Mr Cameron noted. 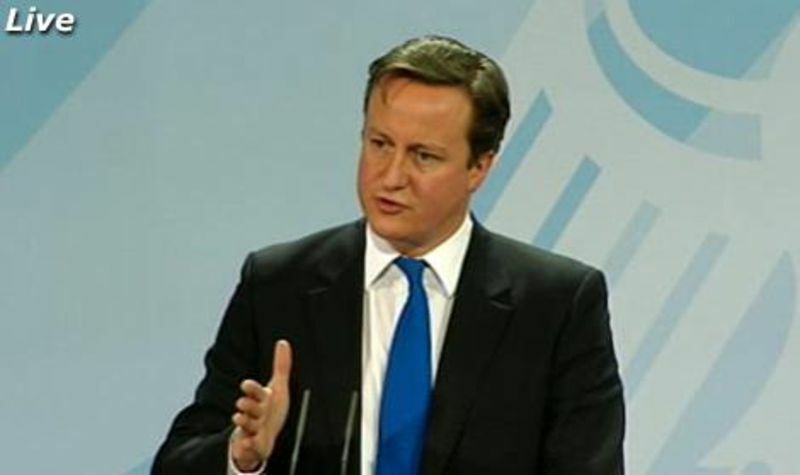 He said that Germany supported the British position against the increase of EU's budget by 5%, as proposed by the European Parliament, which Cameron has once again defined as unacceptable and called the budget to be increased by inflation only. 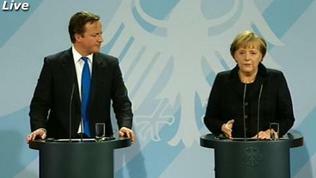 None of the two leaders answered directly the question whether the ECB should be a lender of last resort. 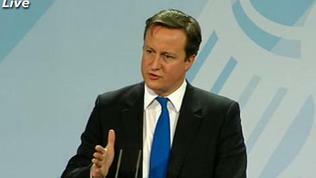 The British prime minister, however, noted that "we should use all the means at our disposal". Before arriving in Berlin, David Cameron stopped in Brussels, where he met with European Council President Herman Van Rompuy and European Commission President Jose Manuel Barroso. However, no details have been disclosed of the talks. In anticipation of the European Council on 9 December and against the background of the last onslaught of the debt crisis, which is already rattling the gates of Madrid, Rome and Paris, the European leaders are in constant diplomatic shuttles and phone calls, although at this stage ineffectively. However, despite their disputes Germany and the UK are united by the need to preserve the single market at any cost. This means there should not be a formal separation of the eurozone from the other ten countries, in spite the need to strengthen the integration in the euro area. In this respect, Berlin is closer to London than to Paris, who would do anything to prevent the wave of distrust, thronging from the periphery of the eurozone. 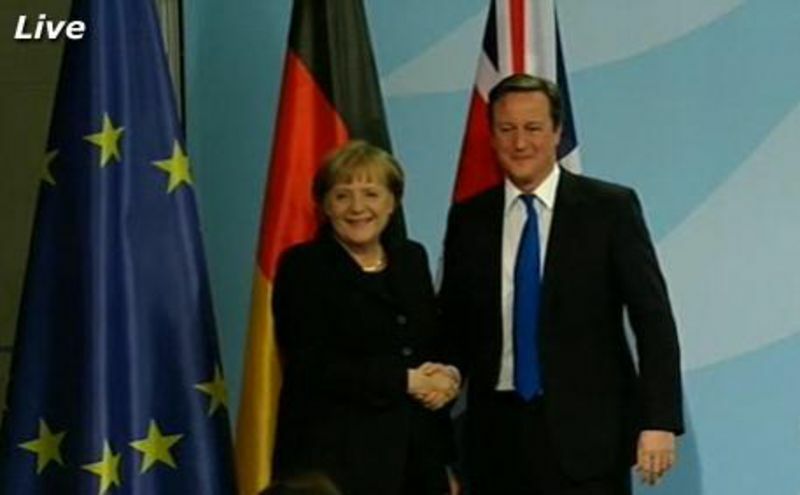 Maybe that is why David Cameron and Angela Merkel not just repeatedly underlined, but clearly demonstrated their friendly feelings. Moreover, David Cameron fully supported the Chancellor’s position on the need for long-term measures to ensure fiscal discipline in the euro area, albeit with a clear understanding that these would require Treaty changes.